It’s hard not to find a place that’s completely slammed with customers during the holiday season. Whether that’s a restaurant, bar, hotel, or airport, busy consumers are out and about, looking for the best places to go — and steal some deals along the way. Over 2 million businesses use Foursquare, and its central purpose is to point consumers in the right direction toward exactly what they’re looking for, everywhere in the world. Harvesting your Foursquare data during the busy holiday season will allow you to learn valuable insights about who your customers are, when they’re coming to you, and what you can do to make them happy. Capitalizing on the convergence of holiday foot traffic and Foursquare’s analytics will get your brand a step ahead coming into 2017. Our quick tips will point you in the right direction, and you can act on our recommendations right away. Foursquare fun fact: In 2015, Foursquare announced they had 50M active monthly users, and 75M tips. Do the analytics on your platform show that your bar or restaurant in Buffalo, New York, seems to have more check-ins from users aged 35-45 on weeknights? Do these users give tips on appetizers and the must-try items from the cocktail menu? Take this information and use it to your advantage. For example, you can have a happy hour deal on shareable appetizers and half-price drinks during the week, when people are looking for a quick pit-stop to refuel during a holiday shopping extravaganza. Not only will you attract all those people seeking a much-needed break, when you condense your offer to a specific time, you can turn tables faster and generate more revenue. Foursquare fun fact: The app was developed by Naveen Selvadurai and Dennis Crowley. The idea is an extension of Crowley’s NYU thesis project, Dodgeball, that was based on the same concept of check-ins and tips. We love showing the world what we’re doing, especially in the holiday season when we’re in the festive spirit. If you give your consumers something interesting to talk about — you increase your chance of getting valuable UGC, and endorsements from those who visit you. A great way to do this is creating a visually-appealing talking point, such as a branded holiday-themed backdrop for customers to photograph. Get to know the demographic of your current Foursquare users: are mostly female or male users discussing your business? How old are they? What do they like most? When you have this information, you can make intelligent decisions about what type of talking points you might want to create — Trendy? Quirky? Topical? Is the tone, look and feel appealing to the demographic you’re targeting? Make intelligent decisions based on the data you gather. Creating shareable opportunities intended to impress your Foursquare demographic increases the likelihood of receiving valuable UGC within the app, and even elsewhere on social media. In short, give ‘em something to talk about! Foursquare fun fact: Last year, the Wednesday before Thanksgiving was the most popular Wednesday of the year for going out; bars saw a 59% increase in visits overall. It’s known as “Pre-Game” Wednesday. 3. Keep in Mind Tourists Are Using Foursquare Most! Airports have historically been the most checked-in place on Foursquare, and people rely on Foursquare for trusted information when they’re on the road. Use that knowledge to your advantage if you want to attract the newcomers in your city. What are these people looking for when they visit your area? Consider a paid AdWords campaign to rank more favorably for the terms relating your business and your special holiday deals. You can run the campaign based off of data you harvest from your busiest times and most popular demographics in each specific area, garnered from your Foursquare insights dashboard. You can even push specific products/items in a campaign based on feedback you gather from user tips. In essence, use the knowledge that out-of-towners are searching “best restaurant” or “best home goods boutique” and take advantage of those key micro-moments. Foursquare fun fact: Foursquare is available in 12 languages: from Russian to Korean, Thai to Japanese, to name a few. 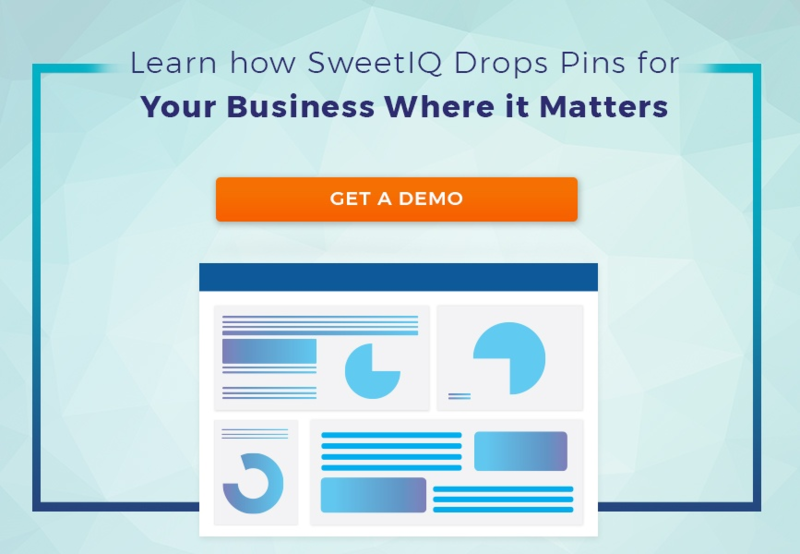 Book a demo to now and find out how SweetIQ’s platform will help you harvest the power of insights. Did you miss last week’s post on Black Friday? Read it here.